Productive Office, Tips By Julia Gifford on June 18, 2018 . There are two kinds of people in the world: those who like open-plan offices, and those who hate them. Open-plan offices have been around since 1906 when architect Frank Lloyd Wright designed the Larkin Administration Building in New York. Besides other innovations like air conditioning and built-in desk furniture, this workspace was also open-plan, with few walls. Today, almost 75% of all offices in the USA are designed with an open-desk plan. From small startups to large corporations and governmental institutions, offices without walls seem to be everywhere. The open-space office trend was kind of inevitable. In the times when the cost of an office space can be up to $595 per square foot, many employers prefer open spaces to save money – you can fit more people into one wall-less room when compared to several smaller rooms. In the meantime, the majority of employees are not happy with the fact that they have to work with tens of other people by their side. And we can understand them. Sometimes, removing walls really does help improve productivity. 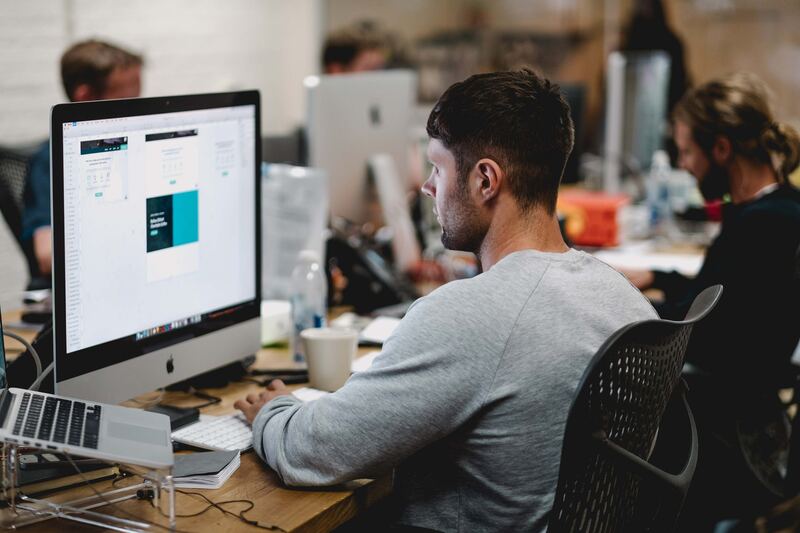 The co-founder of Fit Small Business Marc Prosser believes that open-floor plan discourages people from spending half their day on non-work related activities. In wall-less offices, everyone can get a glimpse into what others are doing, and no one wants to be caught playing ”Tetris” or ”solitaire” all day long. Though, the main argument for open-plan offices is still that they encourage collaboration and communication between team members. One of such teams are lead by Josh Rubin – he’s the CEO of Post Modern Marketing. ”Since we converted our team to an open-plan area, we have seen engagement and cross-training improve dramatically,” he says. Josh believes that by putting the teams together they’ve opened a better opportunity to knowledge-sharing, as well as helped teams to work more efficiently – they don’t have to repeat the same thing over and over just because people are split up in different rooms. 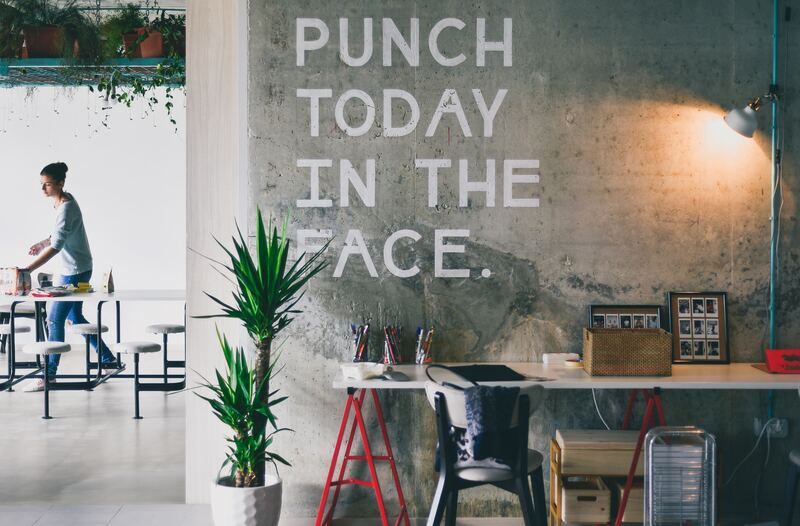 In a survey by Oxford Economics, 53% of respondents said that open-concept offices are noisy and that reduces their productivity and satisfaction. 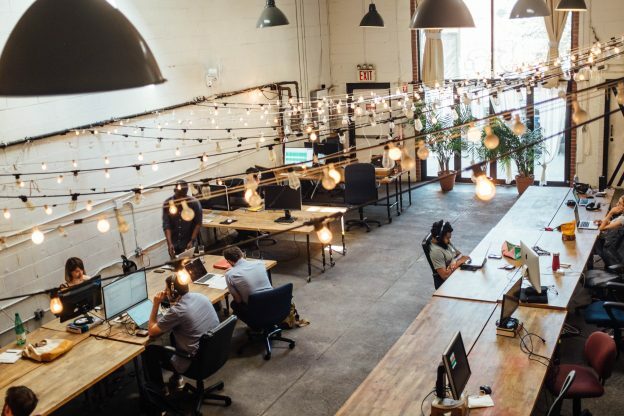 A different study by Karlstad University in Sweden discovered that employees who work in open-plan offices are less satisfied with their jobs. Another survey by The Creative Group found that employees blame their open-plan workspace for their low productivity. ”In open-plan offices, you’re engaged in nearby conversations whether or not you want to be. 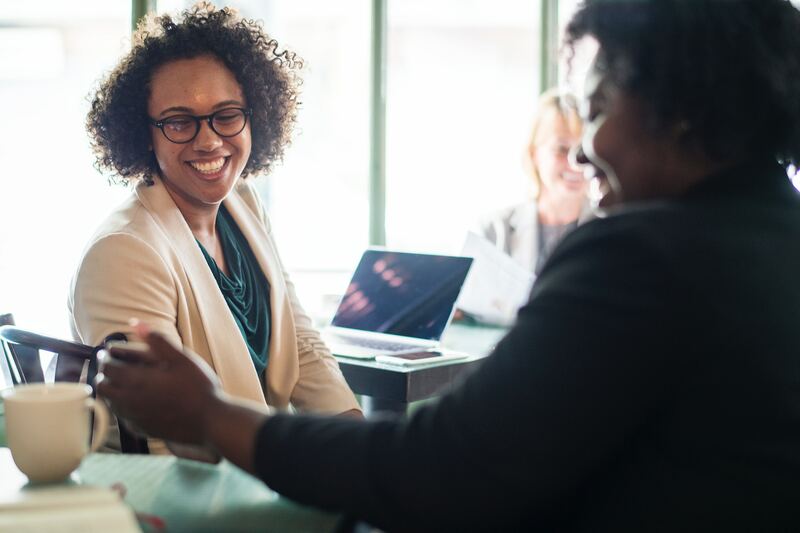 In large and busy offices, these conversations can create a chaotic amount of noise, which makes it difficult to get work done,” says Stephen Hart, the CEO of Cardswitcher. Noise and interruptions are indeed one of the biggest productivity killers. A study found that interruptions can cost up to 5-6 hours a day – that’s basically the entire workday. Now, note this: 70% of office workers say they get interrupted frequently when they’re working, so you can imagine the actual costs of open-plan spaces. If you’re in the search of the perfect office for your business, remember that office design should not be a one-size-fits-all approach. Putting out DIY flags or hand-written notes to signalize coworkers you’re busy and can’t talk right now, can help people avoid unnecessary distractions. Or – if you prefer more tech-savvy solutions, there are gadgets made specifically for this purpose. For example, Luxafor is a glowing flag that changes colors from red to green to signalize your availability – green means you’re available, while red says ”stay away”. Not only plants help prevent sick days, reduce stress and produce oxygen, placed strategically they can also help people avoid distractions. 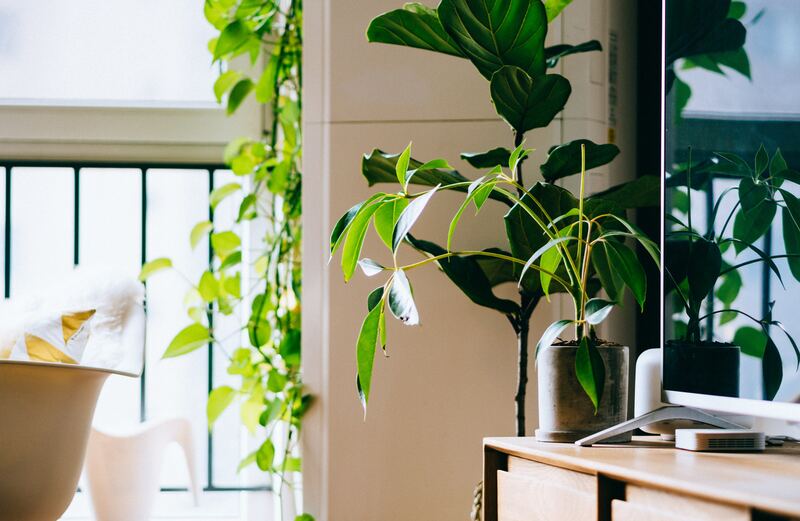 Office plants can create natural vision-blocking walls, which will help employees stay focused on the work in front of them instead of glancing around. According to research, ambient office sounds don’t hinder productivity. On the contrary, they help the brain remove itself from the surrounding environment and focus more attention at the task at hand. In the meantime, noises like chattering and phone conversations can be distracting because of their intelligibility. Put simply, when we recognize the topic, our focus shifts from our work to what others are saying. To mute these distracting daily office conversations, try putting on some neutral background music. Listening to music can help employees stay focused at tasks, instead of paying attention to surrounding conversations. Do you have your own tactic how to deal with distractions? Let us know in the comments below!